April | 2012 | hair, there and everywhere! It’s 10am on Saturday morning. I am doing my hair early today, as I leave for DC first thing in the morning. Today is also relaxer prep day, as I am getting my corrective relaxer late next week. I am nervous to see how that’s going to turn out!! First I am starting off with a pre-poo of V-05, honey and EVOO. Instead of just letting it sit, I am under the dryer to speed up the process. I will be doing a clarifying poo, followed by a moisturizing poo (Alterna products, of course). Today will be my first hard protein treatment since beginning my journey almost four months ago!! I hate doing these because the Aphogee smells horrific, but I know its great for my hair and since I had a relaxer two months ago, I really need to use one since I am overlapping chemicals. I will follow that up with a longer than normal deep conditioning treatment, then do my roller set. I predict that it will take me about 4 hours. Wow. All that for my hair! You know it’s true love!! It turned out quite nice, as you can see! However, there was a lot of shed hair, so I am not sure how effective the black tea rinse was overall. Last Saturday I finally tried the black tea rinse (btr) during my Wash Day festivities! BTRs are a common way to reduce shedding, as caffeine from the tea blocks DHT, which is the chemical that is responsible for hair shedding. I was very pleased with the results! I did still see shed hair when I rinsed it out and during my roller setting, but it was a lot less. However, the real results were apparent throughout the week. I lost very few hairs during the week, whether through finger combing or combing with a regular comb! I have spread the good news of the btr with my friends, so hopefully they will try them as well! I will be incorporating this into my regimen as needed …as I do not have a lot of shedding in the first place. I just wanted to try it out and see what the fuss was about … And now I know! 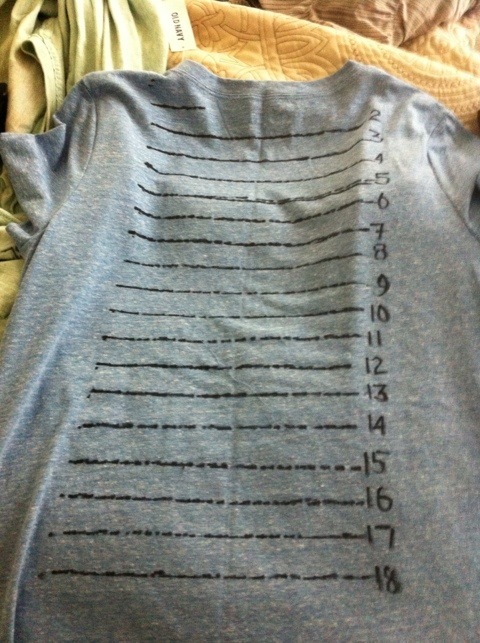 Here’s how I did mine … I will take pictures the next time. When it comes to types of tea to use, I just used regular black tea … It was 100 bags for 1.50. 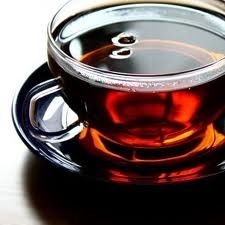 Some people like to use green tea, chai tea or whatever, but black tea works just as well. Just make sure it’s caffeinated. 1. Brew tea (make sure it’s caffeinated, as it’s the caffeine that blocks the chemical responsible for shedding). I used 6 oz for each bag of tea and I used 4 bags. 2. Let cool overnight or for a few hours. Some people throw ice cubes in theirs to make it cool faster. DO NOT USE TEA HOT!!! 3. Once cool, put some tea in a bottle with a nozzle. Apply tea directly to scalp, as thats where the shed hair comes from! If you don’t have a bottle with a nozzle, apply the tea as close to the scalp as possible. 4. Using the left over tea, I pour it all over my hair. 5. I clip up hair and leave on for 20-30 minutes, covering with plastic baggy. Note: black tea can stain … Wear clothes that you don’t mind getting a bit soiled!! 6. Rinse out with cool water … Follow up immediately with deep conditioning treatment, as the tea can be drying to hair. I hear that this can also be done with coffee .. I am not sure how that works, but maybe I will try it soon!! Retin A Micro: You’re Out! 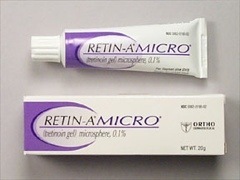 It has been a week since I have used Retin A Micro. After spending the last two Saturday afternoons in tears due to my horrid breakouts and starting antibiotics to help reduce inflammation, I made the decision (well, actually Nathan made me) stop using it last Thursday. I got a horrible breakout around my mouth two weeks ago and it stuck around for a week. It was horrible! I now have these hyperpigmentation marks to remind me of how the unwanted pimples set up home on my face! They are slowly fading away, but I still have to wear makeup. This week has been so much better! I have not had a lot of new acne. I am using the oldie-but-goodies, salicylic acid and benzoyl peroxide. I also started using a glycolic acid moisturizer to speed up the clearing of the pigmentation marks. The ones that I have are healing and scabbing over, leaving newer pink skin underneath. I was holding out hope for Retin A Micro. I used it with such good results 8 years ago, but I guess my 28 year old face did not like it. It may have been too strong. I was not going to wait around and ruin my face any longer, waiting for it to work, either. I know, I know. It’s been a while. I have been busy! Between battling my skin (update coming soon!) and work, I have not thought much about the hair. I M&S daily, tie it up and go about my business. I had to go to Redmond, OR for a site visit. I stayed in a hotel where the mirror was on the back of the door, which faced another mirror. I caught a glimpse of my hair in the reflection and was quite pleased! It has really grown! It’s hard to tell when you look in the same mirror day in and day out! Tomorrow is Wash Day! I’m have unofficially moved it to Saturday. I think it’s better for my morale to have a nice head of hair on Sundays. That truly is my day of rest!! I think I will try the black tea rinse tomorrow. That will add another 30 minutes to my routine. Don’t get me wrong, I am loving the fact that my hair is healthier, but like Jillian Michaels says, “if you want results, they don’t come for free!” It takes me a lot of time to do Wash Days, whereas my blow outs only took me an hour! I am looking forward to getting my corrective relaxer in a few weeks. There is already a decent amount of new growth, so this will get me on track to keep my every 3 months routine … Stretching more than that is not for me! I will post pics and results from Wash Day. Also, I made a new length check shirt! The one I was using was not the best and I wanted something to keep track of my growth more accurately. I am currently at 5. So I guess that means I have 4 inches to BSL! For some reason, BSL keeps getting further away the longer my hair gets! It’s like it’s elusive!! 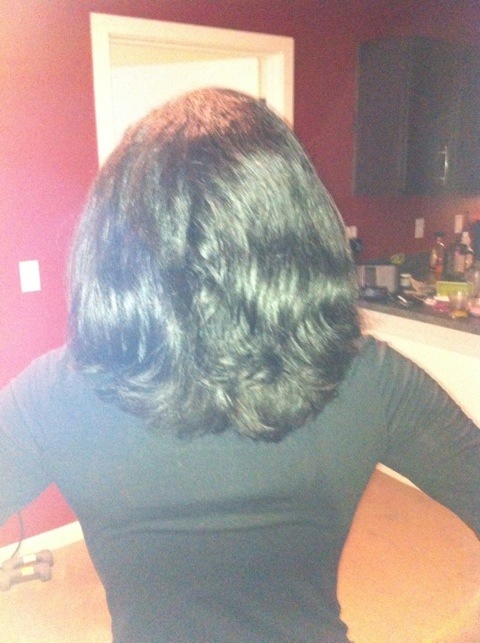 But we will get an accurate length check when I flat iron in early May. I am confident some strands will hit the 6! Posted in Hair Care, Humor, Politics, Recent Events, Life! Wash Day and a new product! I did my hair on Saturday (it was kinda nice having Sunday to lounge around and enjoy the beautiful weather!) and it turned out quite nice! I was a little ticked at the roller setting process. It did not seem to go as fast as I wanted it to and I was a bit tempted to blow dry and flat iron, but alas! I remembered the challenge and I hung in there … and I am glad I did! Today is Wednesday and it still looks good! I honestly think that the Lotta Body, the 1 hour and 15 minute minimum under the dryer and the Game of Thrones book to keep me company has been the key to these last two roller sets. I did the Aphogee 2 minute Keratin treatment in the shower with one of my turbans (more to come on this). Instead of hopping out of the shower and going under the dryer, I wrapped my hair up in the shower and steamed the treatment in. I am going to do the hard protein treatment on April 27th, when I do my relaxer prep routine (clarify, hard protein, deep conditioning, rollerset). My hair did not break off as much this time, as I was gentler with the new growth. I finally got around to using the Silk Elements Megasilk! The smell took me back to 8th grade for some reason. 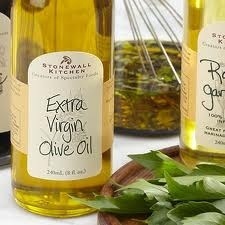 I think my stylist used to use that stuff! It smelled very good! I steamed it in, rinsed and did my usual leave-ins. I must say, I am impressed. I will probably buy another packet soon, but I am still in love with my Alterna 10 hair masque … but when I want to give that stuff a break, I will use this! Monday marked the 3 month anniversary of my hair journey! It seems that these months are just rolling on by! I am really really proud of my progress thus far. I obtained APL two months ahead of schedule and hope to be full APL by June! I have not straightened by hair in a while, but when I get my hair relaxed in May, I plan on getting a blow-out and flat iron so that I can do a length check then. It is growing, as I can see some new growth in the crown area! Here’s to continued success on my journey! Today I am 4 weeks post relaxer and from week 1 it looked as if I have not had one. The curl is somewhat relaxed, but it has more of a texlaxed look, which is cute, but my hair is a bit thick and I am not feeling it at this point. You can still see about 2 inches of wave, then this straight-ish hair. Also, it is hard to differentiate between new growth and the texlax hair, as my natural hair is wavy. All of these textures are not good and can cause hair to be prone to breakage, so I am just going to have a corrective relaxer put in. The stylist used a calcium-based relaxer, which is essentially no-lye. I think that a lye relaxer would be a better fit for me, as it is stronger and will work more quickly to penetrate my low porosity hair. I used to be deathly afraid of lye relaxers (but not knowing what the stylist put on my hair), but now that I understand my hair, the benefits of lye and how it will help my hair … I am game for it. Read about the lye vs. no lye debate here. HINT: Any relaxer that needs activator is no-lye. I am going to use the Mizani Butter Bleads on my hair when I do it in May. 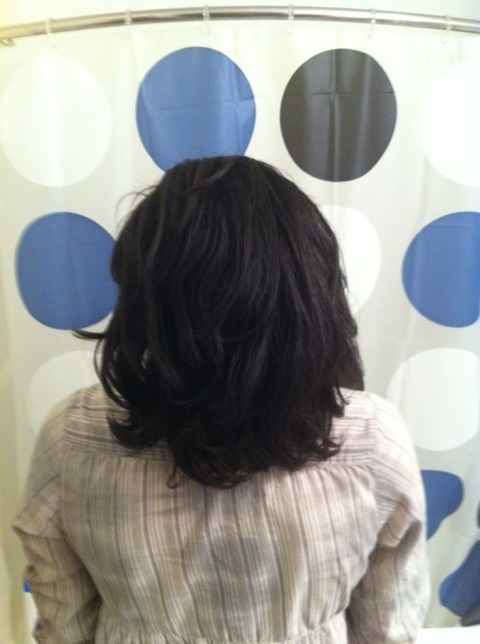 My old stylist Jeanne used Mizani relaxers and I always had great results. I also will be looking for a new stylist. I am just not feeling the salon I went to. Both times I have been moderately pleased, but not WOWED like I was when I was with Jeanne. I remember living in Hawaii and relaxers costing me $120 a pop, but I got the royal treatment (deep conditioners, protein, etc., trim). I remember complaining about how expensive they were, but I would GLADLY pay it now, as my hair always looked good when I left there. And it was always so healthy looking! Also, I have decided to limit my relaxer stretches to 3 months. By that time, I will have 1.5-2 inches of new growth. It really is no need for me to stretch any longer. I mentioned in a blog post earlier in March how my face was nearly burned off by going out into the sun (which is rare in Oregon). My face crusted up, was swollen and painful. One day, I couldn’t even go to work. Ah … Welcome to the wonderful world of Retin A Micro (RAM). I used this product before beginning in summer 2003. I remember thinking I was getting microdermabrasion, but the esthetician recommended this medicine because I had some active acne. I remember getting acne facials once a month and by October of that year, I had graduated to glycolic peels, a sign that my acne was improving. While using this stuff, my skin was pretty much awesome. I remember there was a short while when I didn’t have insurance and this stuff was $165 a tube and I gladly paid it. I don’t remember when I stopped using it … I am guessing early 2007 because my skin was clear. Off and on will I have problems with acne. Normally a flare up here and there, but it quickly goes away. When I lived in Hawaii, I had damn near flawless skin. I really think my skin loves summer because I notice breakouts more so in the winter. So February 1st, I started RAM and for the first week, nothing happened. Skin was smoother, but that was it. Well, around Valentine’s Day, the initial breakout began. I was in shock. I had forgotten about this period of time when every zit from the next 10 years pops up on your face in the first 2-4 months, depending on the person. I had this romanticized view of RAM and how it was this wonderful panacea for acne. I had forgotten how you must give up your face, pride and confidence for this to occur. Oh this initial breakout period (slated to last from 7 weeks up to 5 months, but average about 3 months) has been horrible. I have had these hard, angry pimples that made it uncomfortable to sleep. I have had multiple buffet zits in between my eyes (what’s a buffet zit? : it’s where you extract it, but it keeps filling itself up, like on a buffet). It made me look like Cyclops. I have a colony of little zits just chilling on my jaw line right now. Ah, let’s not forget the hyperpigmentation spots from pimples gone by. I have had huge ones on my chin that do not pop, just inflate and deflate depending on their mood. It has been hell. Sometimes it’s just best to leave well enough alone. This is what happens when greed gets in the way. My skin was clearing, but noooooooo! I needed more clear and faster clear! Now I look 50 times worse than before. Loose lips sink ships. I am seeing a slowing down of the big angry pimples. Mainly the ones I have are small ones beneath the skin. I started using benzoyl peroxide a few weeks ago, when I should have been using it all along to help dry them up. I also reduced the usage of RAM to every other night. It is drying the crap out of my face. Last week in Seattle I could barely move my face. I had this gargoyle-esque pose because if I moved my mouth, my face hurt! My skin was also burning … It really reminded me of when my ex-boyfriend used to call my face stuff “Michael Jackson cream,” as it really does burn, lighten and the like!! Nathan asked me why would I use something like this that makes my skin break out and I told him that that was a light at the end of the dark, pimply, painful tunnel. I just have to get through this break out period!! Well I am going into Month 3. I can tell somewhat of a difference. The pimples on my forehead are not as huge and angry. My jawline is what’s the worst part now. It’s looks like I have a beard of acne. Sigh. Well I will keep you posted as the month progresses!! Hi. My name is LaShanda. I am recovering product junkie (pj). I am almost three months into my journey (ok, so maybe time does fly when you are having fun!) and reflecting on my journey this far. I think the biggest external factor (meaning that it does not relate physically to my hair) is my product junkiness. I remember when I first started this journey and was reading countless blogs. Each blogger had their own panacea(s) of what helped their hair, what we should buy, blah blah blah. Well, a newbie to this journey I did just that, bought products that others touted. Ah, how can I forget coconut oil that ravaged my ends or the Hawaiian Silky that dried them out? Well, I may have found a round of products that works for me (they were here all along … Yay for Alterna! ), but that still doesn’t mean that I have fully recovered from my pj ways. I catch myself lurking the hair care aisles for new products to try … Just to see if they work like others say they do. What if I am missing out on something?? For instance, there is Herbal Essences Split End mender (formerly known as Long Term Relationship). I have heard mixed reviews on how good it is … But I am itching to try it! But I remind myself to stick with what I know … And has been proven effective for me. So what are some of my identified pros and cons of being a pj? 1. You try new products that may be perfect for your hair. 2. You are able to write reviews about the product and help others who are thinking about using it. 1. Spending money on these products. 2. Using a product that causes a setback. 3. Having an inconsistent routine can hinder hair growth and hair. 4. Using too many products can make identifying ineffective ones harder. 5. Spending money on these products.